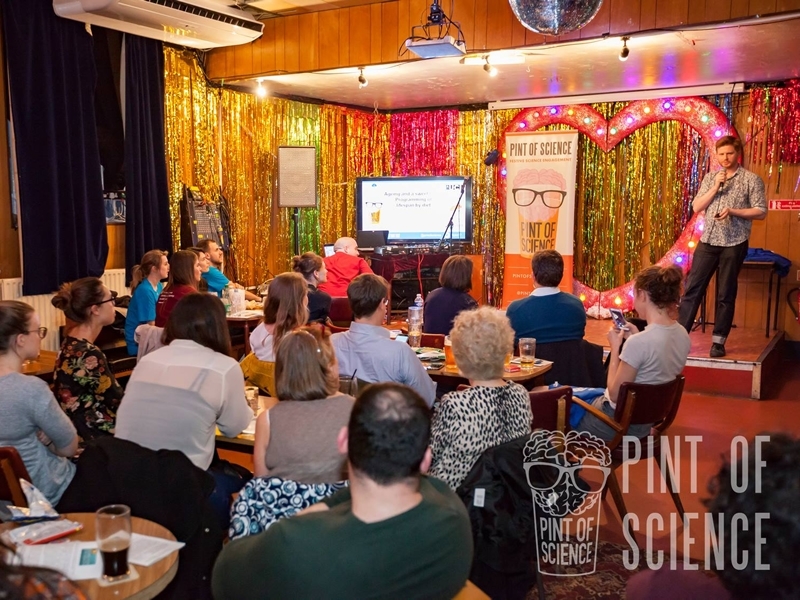 Pint of Science aims to bring some of the most brilliant scientist and inspiring research from Scotland to your local pub. No need to have any prior knowledge, just come and meet the people responsible for the future of science (and have a pint with them) on the 20th - 22nd May. Join us for three nights of exciting science as we delve into topics as diverse as how the human brain works and what happened the day the dinosaurs died - no prior knowledge of the subject is required! So head to pintofscience.co.uk, buy your tickets and come have a fun, learn about science and have a pint or two! While we take every opportunity to ensure the details for Pint of Science Glasgow are accurate, we always advise that you contact the event organiser before setting out for the event to avoid disapointment.